We took a stand at the Parallax Art Fair, Chelsea Town Hall, Kings Road, Chelsea on 21st – 23rd February. Plastic Propaganda caught my eye. 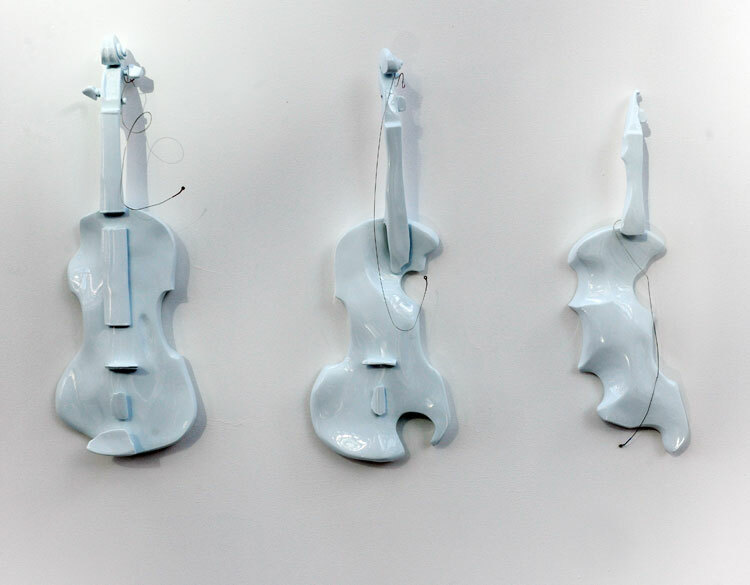 Three white violins hang in line, each slightly more complete than the last, progressive but not finished.